These are panoramic photographs of Kansas towns beginning with Ada and ending with Bunker Hill. The Kansas Film Commission created the photos to promote Kansas locations to film companies. Many of the photographs show business districts and buildings. The panoramics were created by taking individual photos and taping them together. 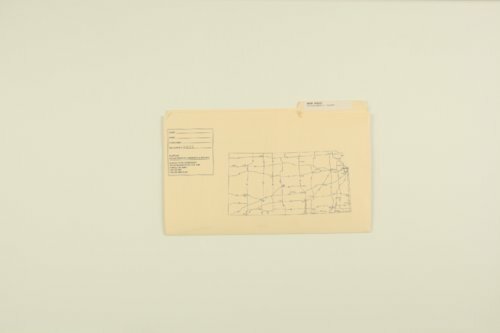 Towns and cities included in this part of the collection are: Independence, Industry, Ingalls, Iola, Jennings, Jewell, Johnson City, Kanopolis, Kanorado, Kansas City, Kincaid, Kingman, Kingsdown, Kinsley, Kirwin, LaCrosse, Lamont, Lancaster, Langdon, Larned, Lawrence, Leavenworth, Lebanon, Lebo, Lenora, Leon, Leoti, Lerado, Levant, Lexington, Liberty, Lincoln, Lindsborg, Linwood, Longford, Longton, and Ludell.